Fresh parsley is an easy and tasty tea well complemented by anise seed to improves the flavor. 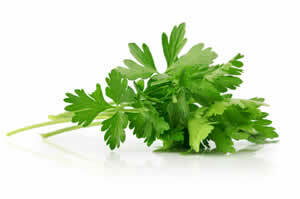 Parsley is used mainly for its diuretic properties and as an aid to digestion after meals. Recipe Instructions: Herbal Tea :Infuse in a cup and a half of hot boiling water for 10 minutes in a covered vessel.